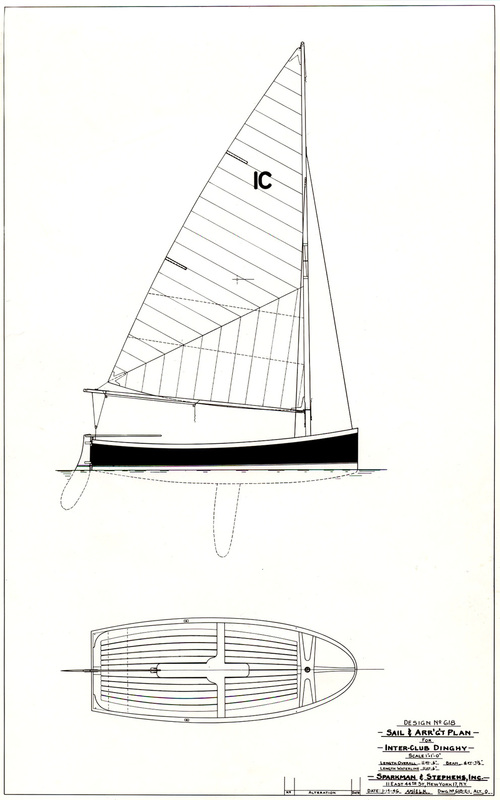 Jesse Falsone’s sail plan for a contemporary Interclub. 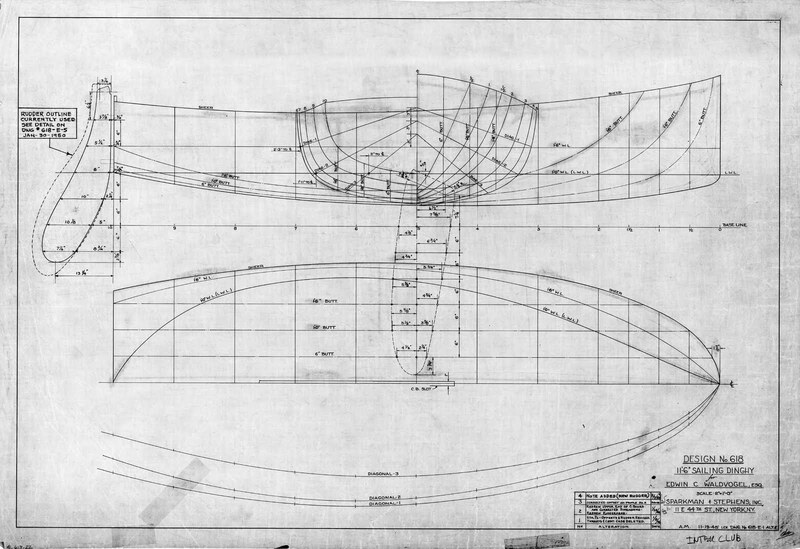 Original “Inter-Club” Sail and Arrangement Plan drawing from Sparkman and Stephens. Original Sparkman and Stephens line drawing.